I’m often told that some of my luxe reviews read too positively. Truth is, if I didn’t believe in the brand values, it’s unlikely that it gets into the editorial line up. That said, for the purpose of maintaining integrity, I do prefer to disclose any ownership (always self-purchased) before a review. And yes, I love it. My Baume and Mercier Riviera. 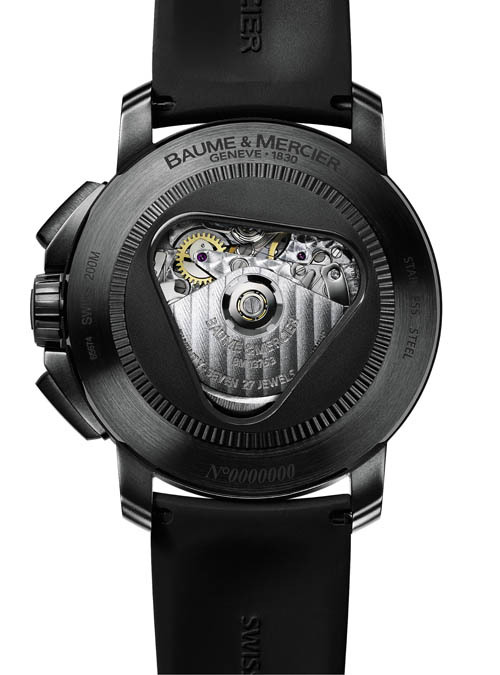 Conspicuous luxury has given way to subtle class since the advent of the financial crisis and Baume and Mercier’s classic round watch is a return to 180 year old roots envisioned by William Baume and Paul Mercier. The new Classima Executives XL collection to me is traditional watchmaking defined, three classic mechanical complications detailed with finishing details found in the finest haute horlogerie. White and silver-colored dials graced with finely guilloché-worked “grain d’orge” décor, deeply beautiful black alligator leather straps all serve to accent fine horological fundamentals like power reserve, moon phase and complete calendar functions. While the ‘back to roots” move is deeply welcome, the rugged virility and signature characteristics of the Hampton and Riviera lines are not forgotten. Whether in sand-blasted or PVD coated steel, Baume & Mercier’s two new chronographs with vulcanized rubber straps and profiled pushers are designed for urban adventurers. In my honest opinion, if you already own Riviera or Hampton, I’d highly recommend going for a Classima Executive. 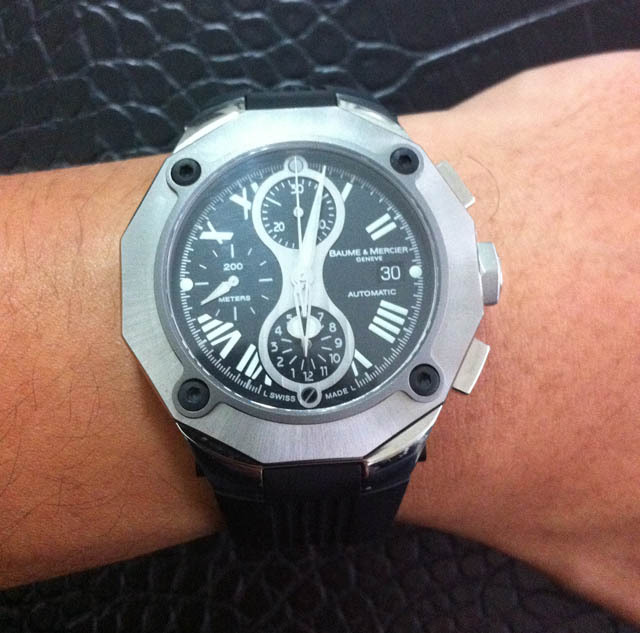 If you have yet to own any from the Baume & Mercier range, there’s no better place to start than the Magnum XXL. It’s great value for money for either range. The Richemont group has not quite given Baume & Mercier the marketing oomph for the past few years and they’ve recently begun a revamp and push the prestige factor in for the brand. What you’re paying for now is great watchmaking traditions backed by classic ETA Valjoux workhorse movements without the subsidising advertising spend. 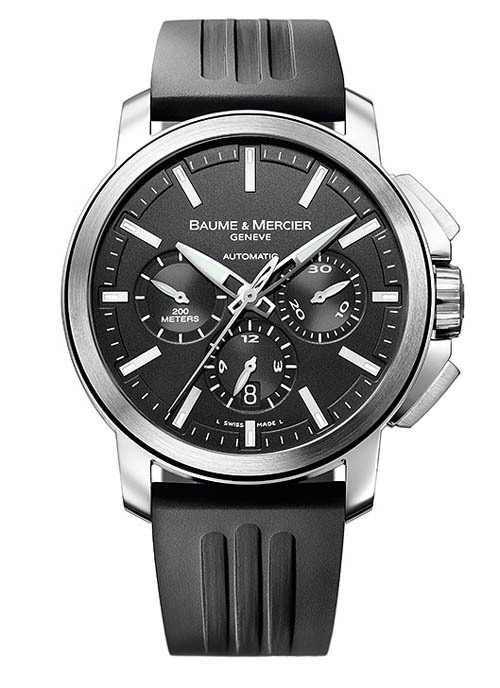 If you must buy a watch, make it a Baume & Mercier. Classima Executives Magnum XXL Chronograph (8852) Teamed with a black vulcanized rubber strap and equipped with a mechanical automatic movement. 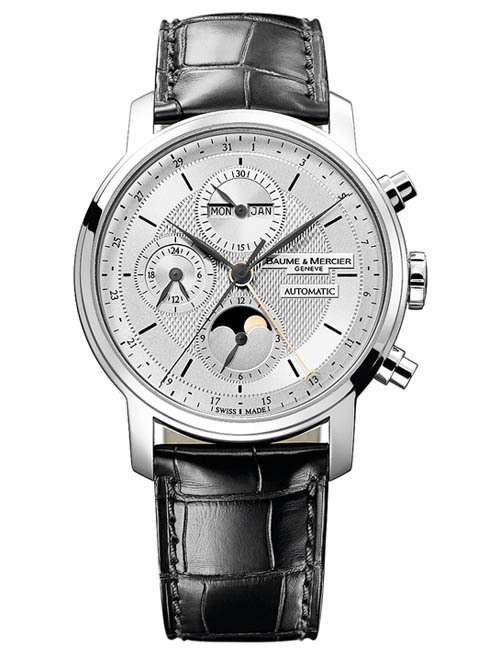 Classima Executives XL Chronograph and Complete Calendar (8870) This traditionally and opulently finished chronograph is equipped with a high-end mechanical self-winding movement driving indications of a complete calendar. 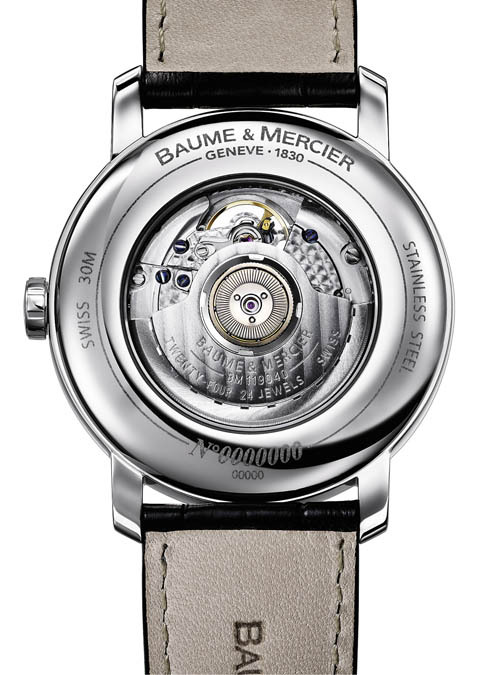 About the BAUME & MERCIER CLASSIMA EXECUTIVES MENS 8852 you wrote about. I noticed that this particular watch is no longer sold by B&M. Are you aware of any reason why B&M discontinued it? Are there service issues with it? It is a very handsome watch and one whose style I am very interested in. 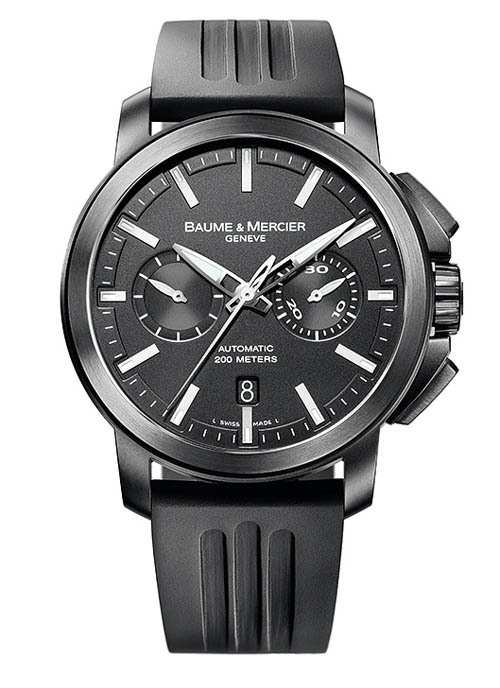 It was discontinued because the folks at Richemont (parent company of Baume & Mercier) felt that B&M should look into their archives and create a look more in line with their heritage and tradition. There weren’t any service issues with that timepiece. These days, you can find that model at some of the older stockists but mostly you can find it online for a bargain. 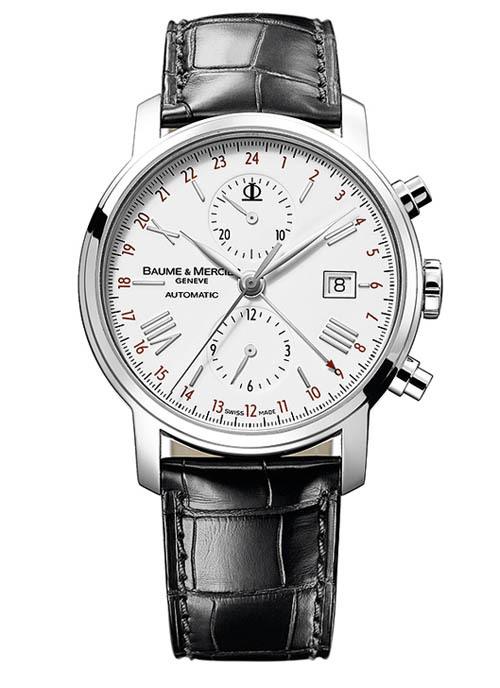 I was wondering why the Classima Executives XL Chronograph and Complete Calendar (8870) was discontinued? Were there just too many service issues related to it? I believe the Maison was just consolidating their collections.